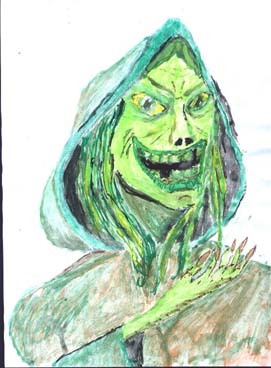 All - well most of the posts from Greenteeth Labyrinth, The Daily Stirrer, Little Nicky Machiavelli, Boggart Blog and our other sites all around the web, articles on a wide range of topics, artwork, photos, music, video and more. Money and Finance - It's the root of all evil, and most of our problems it seems. What that line, I think it's from The Bible, really says is "The love of money is the root of all evil. Well no matter how hard we try not to love money, in the modern world it necessarily obesses most of us. These pages provide a scaeptical, cynical look at money and how it has taken over our lives and become a barrier between ourselves and what is important. Yes you read that right. The fascist regime in the USA has usurped to itself the right to raid bank accoutns anywhere is the world. At the moment they are only stealing money by way of tax demands from people who were born on US soil even if those people have not lived in the USA since childhood and have never be employed by a US business. Why hasn’t quantitative easing worked for the UK economy? Germany’s Wolfgang Schäuble is entering into ever more dangerous waters. Four Stories On The Collapse Of The Euro Dutch Freedom Party leader Geert Wilders calls for a referendum and says Euro membership is not in Holland's best interests, Greece stumbles towards default as talks on debt write off stall, Italy and Spain economies slip back into recession and Spain rebels against Brussels control freakery. The Greek Mess, Germany and A Final Solution? As European Leaders meet to discuss their latest wheeze to save the single European nation project by continuing to deny that the Greek economy is FUBAR, The Daily Stirrer again argues that the global economic crisis will not be resolved until politicians and economists understand the basic rules of finance like 'Don't spend money you haven't got. Globalisation can work, but only with a unified international plan says Will Hutton. WRONG! While the bleeding hearts of the "progressive left" wail and gnash their teeth over the plight of the world's poor a new report reveals hundreds of thousands of illegal immigrants who came to this country on the pretext of studying or visiting relatives are living in fine style thanks to our lax approach to illegals and the incomptence of those who run the benefit system. The European Commission has launched legal action against Hungary's Fidesz government for violations of European Union treaty law and erosion of democracy, marking a dramatic escalation in the war of words with the EU's enfant terrible. "We'll use all our powers to make sure that Hungary complies with the rules of ..."
With Harriet Harman's Inequsalitries Bill having for the first time enshrined the superiority of minorities over the mainstream you might think at last there was some chance of making the elite live by the same rules as the rest of us. No chance as Tony Blair's use of offshotre tax havens and shell companies to blatantly dodge tax shows. Osborne Says Cuts To Across The Board Child Benefit Will Go Ahead. Euro zone leaders continue to insist the single currency must be saved even though any fool would recognise a dead parrot when they see one. So why are they prepared to sacrifice the furture for the single currency project. And was it ever really about money? China's Credit Bubble Bursts - Just As The Daily Stirrer Predicted. China's credit bubble has burst spectacularly, just asd The Dasily Stirrer predicted it would. In xxxxx we said hopes expressed by the Obama administration in the US and by the unelected bureaucrats who run the EU that the Chinese might step in to buy up Euro zone toxic debt were delusional because China's economic boom would turn to bust by the end of the year. Over the past few days there has been much wailing and gnashing of teeth from control freaks of the progressive left about David Cameron's flat refusal to regulation of Britain's financial affairs by unelected bureaucrats from Brussels. Now other nations are backing off too. A new head of medical training calls for more science and less individual care. But are one size fits all therapies effective for unique individuals and will treating patiends like lsab rats do even more damage to the hugely important doctor / patient relationship. The Daily Stirrer's technology expert Ian Thorpe reports on cyber attacks on UK government and business organisations. Ian has warned of our vulnerability many time, the inevitable consequence of listening to know - nothing scientists instead of computer professionals. The single European superstate Juggernaut rolls on, crushing everything in it's path. Slovakia, in spite of its brave rebellion will be next to sacrifice its future for the sake of saving the Euro as sovereign debt in small nations threatens to swamp the project. Obama's Sidekick Makes Europe Responsible For Saving The Global Economy. News that ratings asgency Standard and Poors had downgraded America's credit rating because of presistent budget and sovereign debt promlems came as a shock to finance markets but not to the wise old heads of The Daily Stirrer. The International Monetary Fund has warned barack Hussein Obama's administration of incompetents the US should quickly start to make a 'down payment' on tackling its budget deficit, as it emerged that the world's biggest bond investor is shorting the country's bonds. Inflation The Big Threat To Recovery Today's report highlights the concerns of business leaders who, while supporting the coalition goverment's austerity measures aimed at controlling the rinaway public sector deficit are worried that inflation and the crisis in the euro zone may still derail the economy.